No labels or tags are required for the music of Steve Grozier as it speaks for itself. Literal geographic associations may despatch it westward across the ocean, but then again music with a ‘state of mind rhetoric’ respects no boundaries. A PLACE WE CALLED HOME may only be a sample of what this Glasgow singer-songwriter is capable of, yet it significantly captures an intended sound and sends a signal out that more will come providing the prevailing winds are kind. The four tracks that form this EP are cut from the classic territory of Steve’s American influences. In essence, they are songs driven by the heart before enabling a skilful soundtrack to allow their artistic flourishing. Underpinned by driving guitar to inject the rock influence, the sound elevates its ambience through the delightful twang of the pedal steel thus ensuring that anybody with an acute country ear will take note. Although, critically there are no pseudo vocal aspirations. Lead single ‘Where the Roses Grow’ doubles up as the record opener and unravels as a certified rocker, albeit draped in a sensitive sentiment. The swirling guitars adopt a chilling presence as the piece rolls towards its conclusion making it an appealing introduction. ‘The Hardest Thing’ sees Steve in a mellower phase letting the twang set the scene and ensuring the tough lyrical input rises to the surface. ‘Nothing Feels’ continues in a sensitive mode with more steel coming to the fore and generally evoking back to a time when troubadours first took a grip on the contemporary music scene. ‘A Place We Called Home’ is probably the most ear catching track on this short collection, ably assisted by an infectious opening line melody which ends up framing the song. 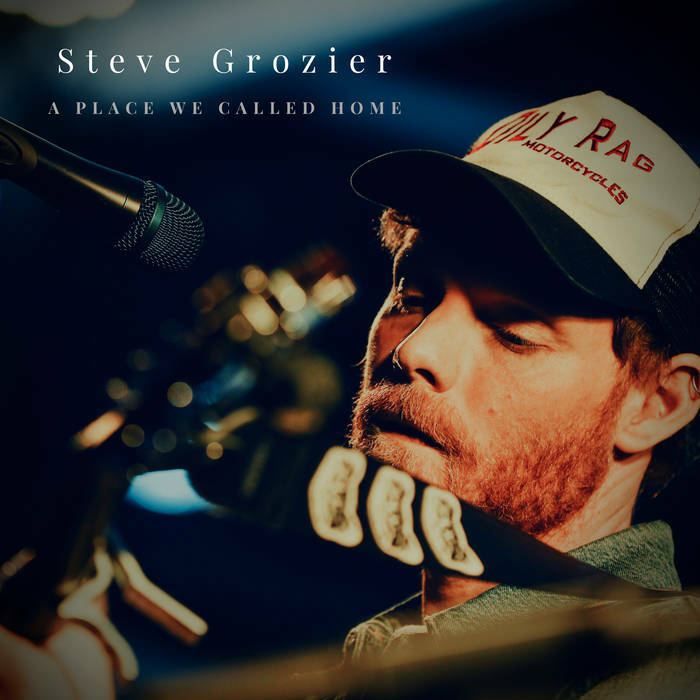 Whatever the pros/cons, opportunities/constraints of an EP release, this sophomore record from Steve Grozier demonstrates that all the tools are in place to make the next step. This hopefully will include shows around the UK and the sharing of a sound that has the potential to prosper in a live environment. In the meantime, allocating a small amount of your valuable listening time to A PLACE CALLED HOME hooks you up with a focussed artist, appearing in firm control to where both they and the listener desire to be.